The San Juan block of northwest Detroit’s Fitzgerald neighborhood has seen its share of ups and downs. Historically, it’s been a stable street with lots of young families and children. But over the last decade, neighbors have had to contend with the slings and arrows of the foreclosure crisis, vacancy and blight. But with the help of the city and other partners, the situation is improving thanks to the hard work of residents. In addition to these cleanups and repairs, her block club sponsors a youth reading program and has transformed a vacant lot where three homes used to sit into a community gathering space where youth play volleyball and football. 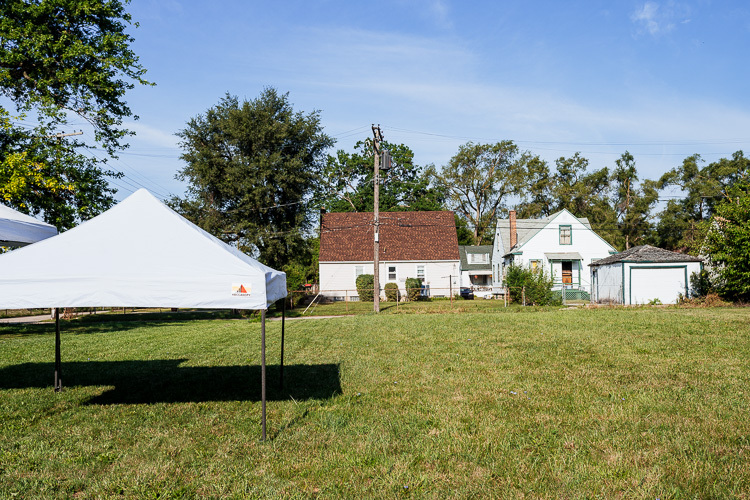 And their efforts have not gone unnoticed; the city of Detroit, the University of Detroit Mercy, and partners with the Fitzgerald Revitalization Project are now assisting them with expertise and funding to help them transform the once vacant lot into a neighborhood hot spot. According to Dean Will Witting of the UD-M School of Architecture, they’re collaborating to turn the lot into a small park geared to the needs of community members. In recent months, architecture students worked with community members and the city planning department to develop a design for the space. “In particular, what came out of those meeting with the community was a need for a covered gathering space where they can meet,” Witting says. 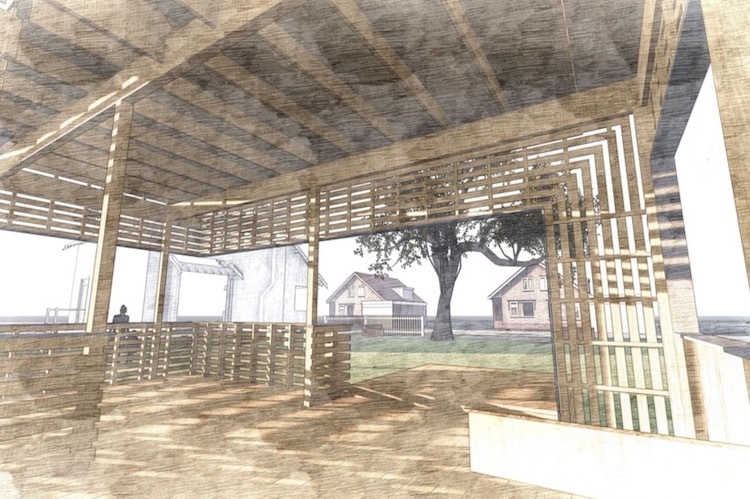 After a couple rounds of consultations, residents chose a design by UD-M students Raquel Charrier, Farhana Islam, and Albert Sachteleben that envisions a new 450-square-foot pavilion on the site. The 12-foot-high structure will feature a small stage extending from a 24-square-foot covered area. Site plans also call for a walking path, which the city is taking responsibility for, and a designated section for volleyball and football. Ideally, the residents and their partners would like to see construction begin this fall, though no official timeline has been set. 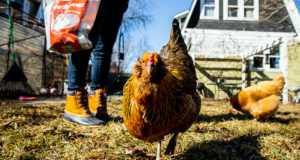 Harbin is glad for the recognition and support her block club is getting after all the hard work they’ve done to keep blight and abandonment at bay in their neighborhood. And, she says, neighbors are responding enthusiastically to the recent signs of progress. The city of Detroit is classifying spots like the San Juan Block Club’s combination pavilion-volleyball court as neighborhood hubs. They’re small community-driven social spaces and they’re essential to the Fitzgerald Revitalization Plan initiative. Spearheaded by the city and receiving additional funding from the Kresge Foundation and a Reimagining the Civic Commons grant, the Fitzgerald Revitalization Plan is geared towards transforming publicly owned vacant land and buildings in Detroit’s Fitzgerald neighborhood into community assets. Under the plan, neighborhood hubs serve as attractive and useful gathering points for local residents. According to Alexa Bush, urban design director for Detroit’s Planning and Development Department, the idea behind the city’s support for these hubs is to provide assistance to areas where community members have already invested time and energy. Located on a lot at Monica and Florence, the Mo-Flo Community Garden is another one of these special hubs. The twelve-raised-bed garden is overseen by Michael Dones, a 33-year-old local resident. He receives project support from the Detroit Collaborative Design Center and UD-M’s Campus Kitchen. The garden contains lots with raspberries, greens, and a variety of other kinds of produce. “We pretty much grow everything there,” Dones says. There’s also has a water collection system with a solar-powered pump to help with watering. A neighbor is currently building a decorative picket fence at the site. 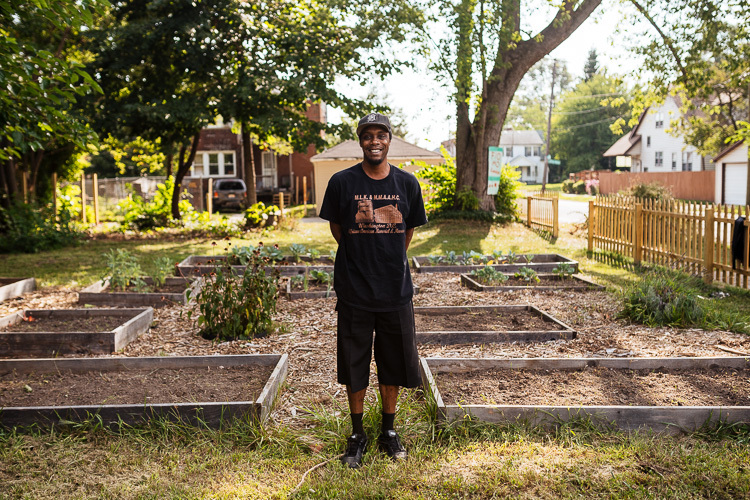 Dones, who learned gardening working at Detroit’s D-Town Farm, started Mo-Flo five years ago to fight poverty by providing fresh food for local residents to eat. During growing seasons, neighbors can pick up fruits and vegetables at their convenience for free. 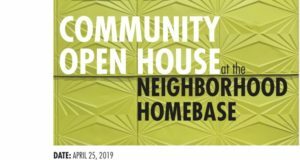 The neighborhood hubs, however, only tell part of the story of how vacant properties are being transformed and repurposed in the Fitzgerald neighborhood. One of the more prominent pieces of the Fitzgerald Revitalization Plan has been the creation of Ella Fitzgerald Park, a 2.5-acre recreation area built on city-owned land. The new park, which officially opened to the public July 28, features a sports field, basketball court, playground, picnic space, and murals created by the celebrated local artist Hubert Massey with the assistance of local community members. The city of Detroit teamed up with the Greening of Detroit and a crew of workers recruited from the community to clear the approximately 26 lots that became Ella Fitzgerald Park. According to Bush, like all of the public land in the project footprint, the condition of the lots varied depending how recently they had been occupied and how involved neighbors were in maintaining them. The city is also building a walking and biking path running through the park that will link together Marygrove College and the UD-M Both park and greenway will be maintained by Detroit’s Parks and Recreation Department. In addition to these larger-scale projects, the Fitzgerald Revitalization Plan also calls for an ambitious effort to redesign landscapes and renovate homes. The city is working with Fitz Forward, a partnership between the Detroit-based development companies Century Partners and The Platform, to revitalize empty homes and lots on more than 300 parcels of land in the plan’s quarter-square-mile project footprint, which covers an area bounded by McNichols, Livernois, Greenlawn, and Puritan. One of the strategies they’re using to repurpose lots is to replace turf grass with flowering meadows that make use of native plant species. Another strategy under discussion — one that’s been more controversial — is to create orchards or tree groves. Working resident concerns about rodents and maintenance into their agreement with Fitz Forward, the city created a landscape manual for the developer detailing issues like what seed mixes to use and how trees should be trimmed and also required them to get approval on a management plan before planting any fruiting trees. 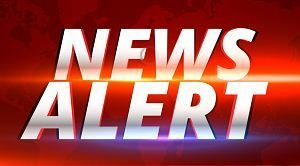 As for vacant houses, Fitz Forward will be demolishing 12 homes and rehabbing 102 homes into both affordable and market-rate sale and rental homes. Three homes are currently under renovation and renovation on all homes is expected to be finished by 2020. While the home side of the project is fairly straightforward, Bush says the land management aspect of the plan relies on a new way of doing things. Essentially the city has created a flexible framework that gives it some wiggle room to shift strategies for neighborhood hubs and empty lots, if necessary.